We welcome enquiries about baptisms. If you are interested in being baptised or having a child baptised (Christened) in one of the Papworth Team churches, please contact the Team Administrator who will put you in touch with a member of clergy. Then, they will then make contact with you. 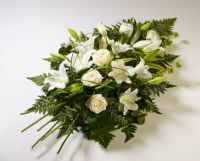 To discuss arranging a funeral please contact the Team Administrator. All our clergy offer support for the bereaved and have a special understanding of bereavement. We're pleased that you're considering a church wedding and we hope to make it a memorable day for you. If you are interested in getting married in one of the Papworth Team churches please contact the Team Administrator who will put you in touch with a member of clergy. Then, they will arrange to meet and have an informal discussion about your plans.